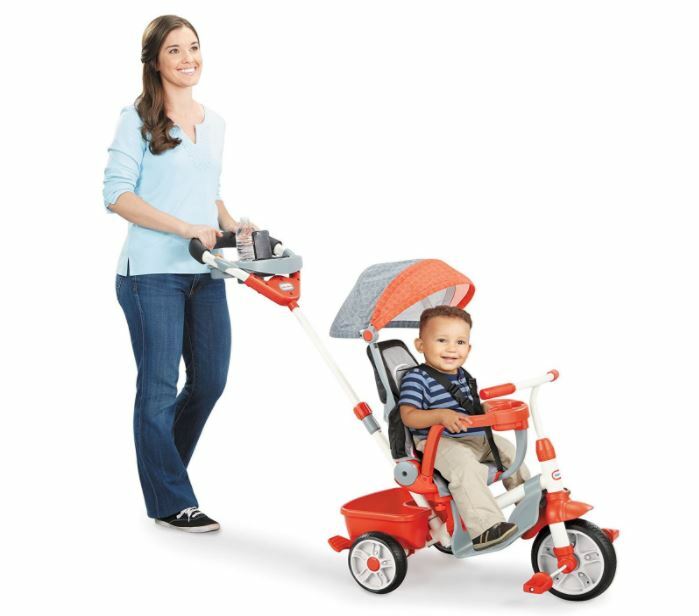 Hurry over to get this Little Tikes 5-in-1 Deluxe Ride & Relax, Reclining Trike for $62.22 (Retail $119.99)! The 5-in-1 Deluxe Ride & Relax Recliner Trike is not only a perfect fit for your child – it's a "perfect fit" for parents too! The three-position reclining seat and stylish soft seat cover are great for a comfortable stroll, while the 5-mode trike features make it ready when your child wants to go, go, go! From parents pushing, to toddlers learning to pedal, to them starting to steer, and then going on their own, this trike keeps pace with your active, growing child.